We are excited to feature past jumpers from our team as partners in the growth of the sport of jump rope. We welcome all former Jammin’ Jumpers to join our Jammin’ Jumpers Alumni Group. We want you to be involved with our community engagement committee, professional networking group, or reconnect with former athletes. If you have any questions or suggestions for alumni activities, email kait.braman17@gmail.com. Become a Jammin' Jumpers Alumni! Become engaged with the community through team activities that impact the well-being of our community. Be a part of the decision making team to plan and execute community events or simply volunteer your time to help during the event. Make connections with people in your profession. People do business with and help people they know, like and trust. 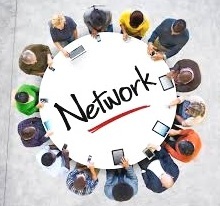 Learn from people in your network who have experience and expertise. Demand for your time is difficult, so staying in touch after years away from the team can be hard. We offer easy ways for you to stay connected with your fellow alumni by participating in a variety of activities.